Arsenal remain just a point behind leaders Chelsea after romping to a 4-1 win over Sunderland at the Emirates. The hosts were without Mesut Ozil due to a bruised thigh but the German was not missed in the slightest as the Gunners bounced back from defeat to Bayern Munich and compounded Sunderland's relegation problems. The visitors began the day in the drop zone and never looked like giving their survival hopes a boost as Olivier Giroud (2) and Tomas Rosicky swept Arsenal into a 3-0 half-time lead, Laurent Koscielny adding the fourth after the break before a late Sunderland consolation. The Gunners took the lead in just the fifth minute when Jack Wilshere surged into the box, having initiated a delightful passing move, and, although Sunderland's David Bardsley managed to get a foot in, Giroud was on hand to calmly stroke the loose ball into the net. Santi Cazorla had an opportunity to double the lead four minutes later but Vito Mannone got down low to make the save. Sunderland briefly threatened, Ki Sung-Yeung powering forward before feeding Marcos Alonso, whose low cross deflected off Koscielny and almost wrong-footed Wojciech Szczeny in the Arsenal goal. 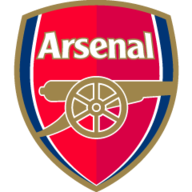 But Arsenal were soon back on the front foot and Mannone did well to tip Lukas Podolski's well-struck long-range effort over the bar, Per Mertesacker heading the subsequent corner over the bar. Rosicky tried his luck from 30 yards out and Mannone was able to save easily but the hosts then went 2-0 up after a terrible defensive blunder. Having received the ball in the right-back position, Santiago Vergini turned and played a careless pass in the direction of Mannone, allowing Giroud (31) to nip in and sweep a first-time shot through the goalkeeper's legs and into the net. And Sunderland conceded again just before the break when Rosicky, Wilshere and Cazorla produced some dazzling interplay on the edge of the box before a neat touch from Giroud allowed Rosicky (41) to dink the ball over Mannone and score a sumptuous third. Arsenal unveiled a statue of Dennis Bergkamp outside the ground before the game and the mood was unsurprisingly upbeat when the club legend came onto the pitch to answer some questions at half-time. 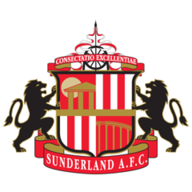 Meanwhile, Sunderland were forced to ring the changes at the break after their limp first-half display, Emanuele Giaccherini and Sebastian Larsson coming on to replace Adam Johnson and Jozy Altidore. And they made a bright start to the second-half, Fabio Borini drawing a decent save from Sczcesny with a powerful shot from an unpromising angle. But their defence disappeared in the 57th minute and Koscielny was left all alone in the middle of the area to meet a Cazorla corner and make it 4-0 with a straightforward downward header. With the points in the bag, Arsenal were able to cruise through the final half-hour but there was one moment of concern, Koscielny picking up a knock and having to be replaced by Mathieu Flamini. Sunderland tried hard to give their travelling fans something to cheer but Sczcesny remained alert and kept out Ki's effort at his near post. But the Black Cats got their reward nine minutes from time when Sczcesny punched a free-kick clear and, having taken a touch to control, Giaccherini produced a superb finish, smashing the ball low into the net from the edge of the box. Arsenal sub Serge Gnabry twice went close to scoring their fifth but Mannone denied him on both occasions.